A Personalised wedding blessing gift.A rustic dark wood window box with herb seeds,compost,compost pots and plant markers with handpainted white lettering. A gorgeous wooden sow your own herb seeds window box is the perfect way to grow herbs on your kitchen windowsill. 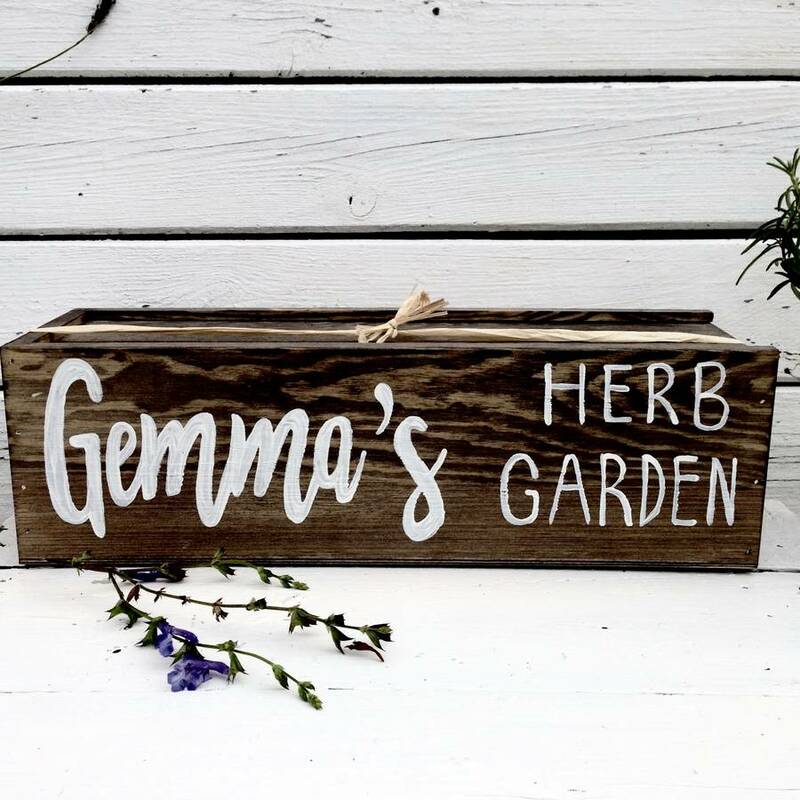 We have added 5 varieties of herbs, each with a sentimental meaning plus 5 little fibre pots and grow fibre, plus 5 wooden plant makers just pop the fibre in the pots, sow the seeds and wait! 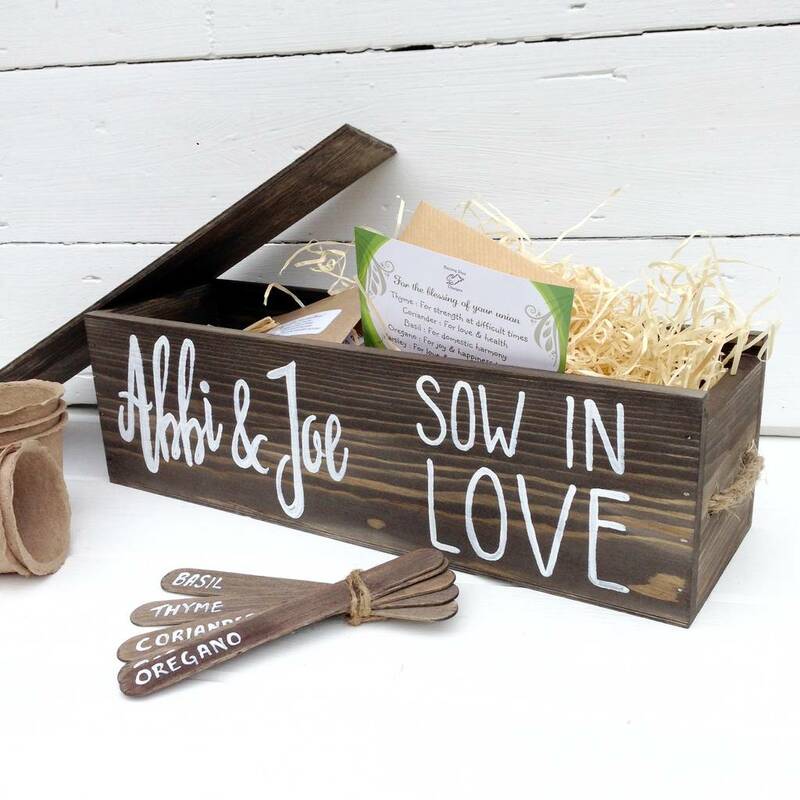 This is such a lovely and thoughtful gift for any couple getting married (or engaged as you can choose to personalise this window box if you'd like to! 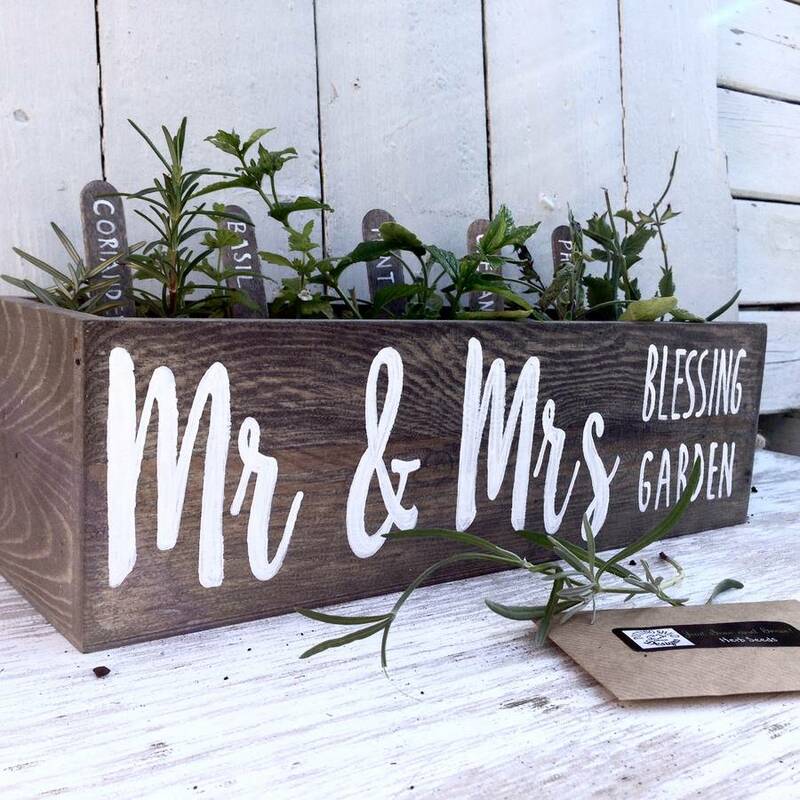 ).This is such a fabulous gift for any couple tying the knot, a grow your own blessing box full of herbs each with it's own sentiment. Perfect to keep on the kitchen windowsill, ready for use when grown. 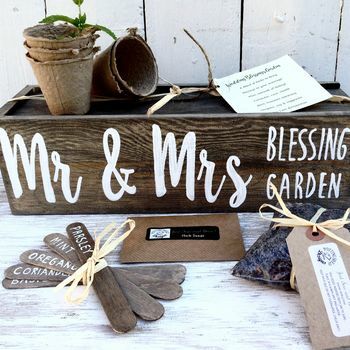 We have painted 'Mr & Mrs' BLESSING GARDEN' on one side but you can of course change the wording and personalise to suit. 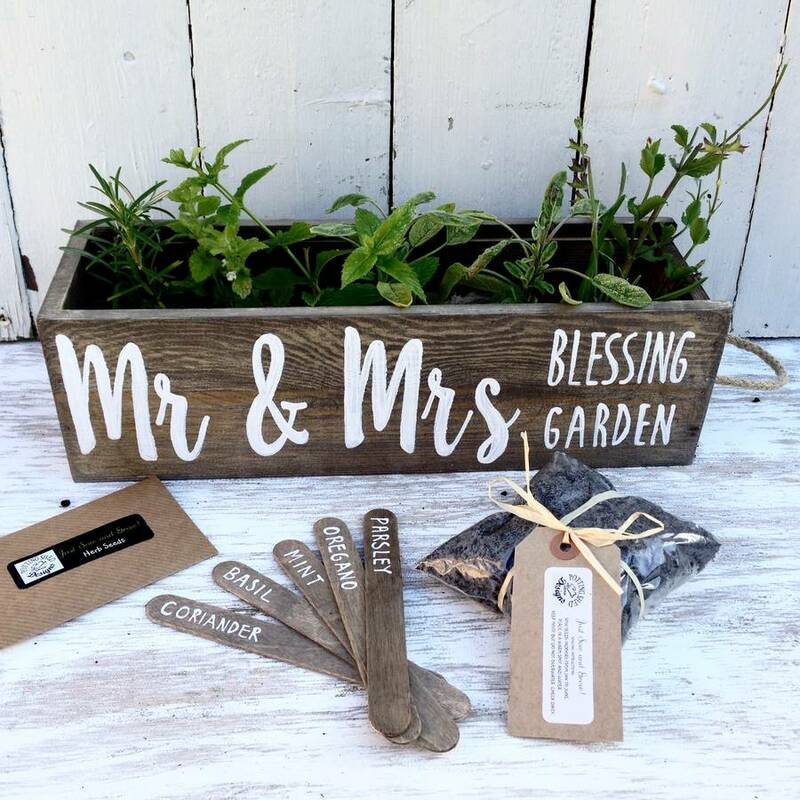 A perfect gift for any couple getting married, a new home gift, anniversary, in fact any occasion (we can paint any wording for you don't forget!). 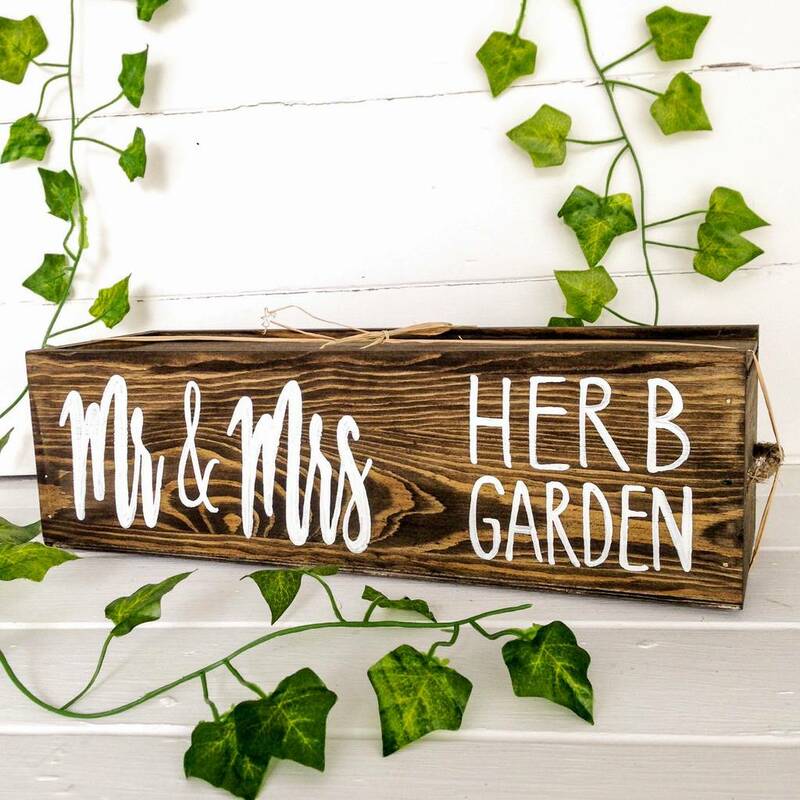 You can have up to 10 for the person's name or house name etc in place of 'Mr & Mrs', and 15 letters for the capitals, all painted in white. 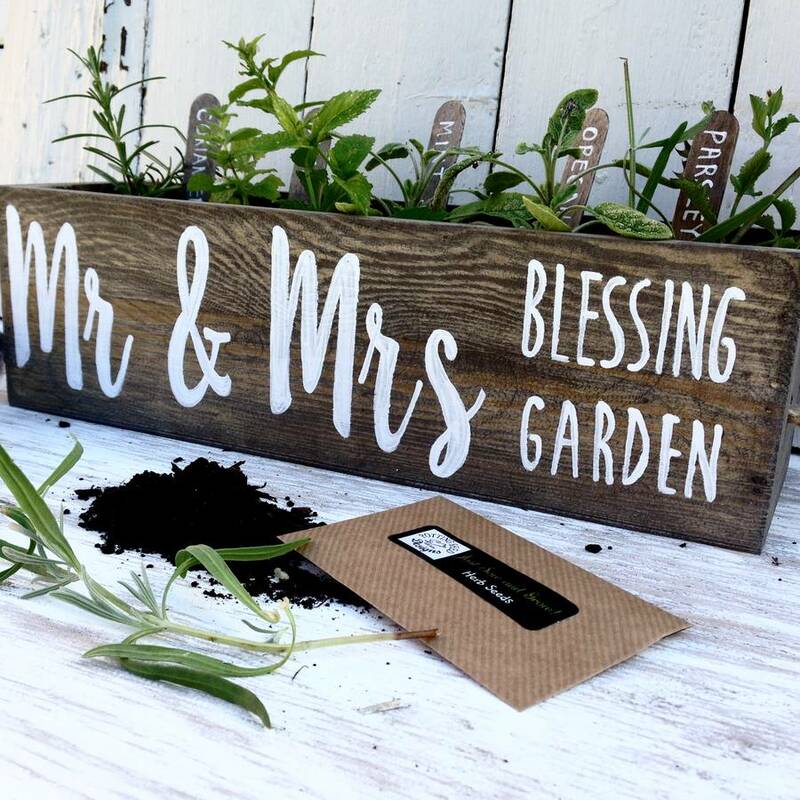 Included are 5 herb planter pots, seeds, potting compost and window sill box planter, all you need to grow a complete gift. Just pop some potting compost into each of the 5 containers, sow the seeds in the compost and lightly cover. Sprinkle with water (don't drown, just keep moist). 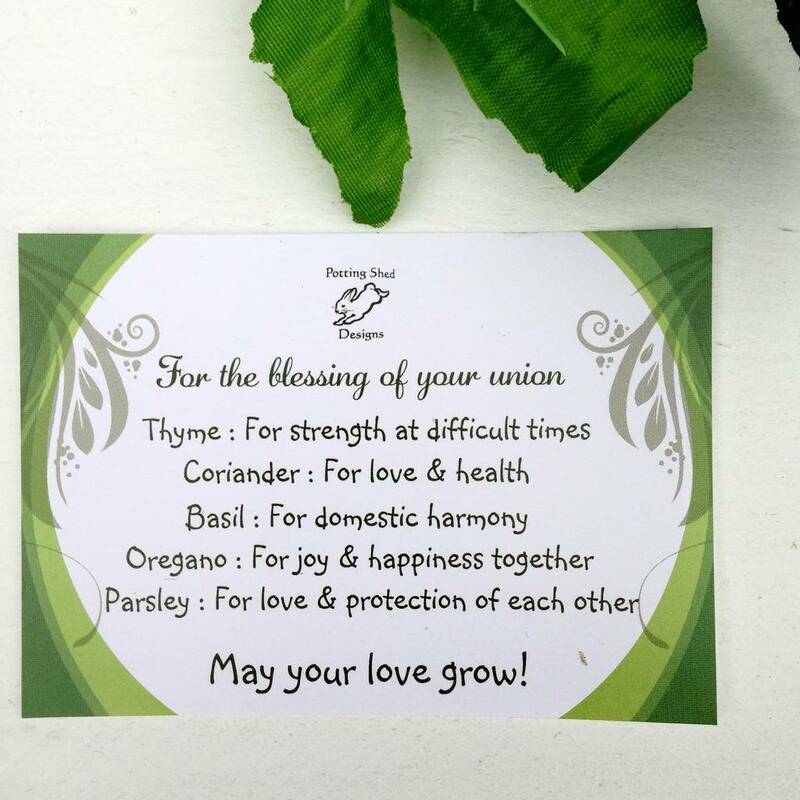 Wait for your herbs to grow and they will hopefully bring blessings to your home and relationship!